Got them assembled and painted with Russian Armor Green and then drybrushed with 50/50 mix of Russian Armor Green and Flat White. Then a quick blackwash. 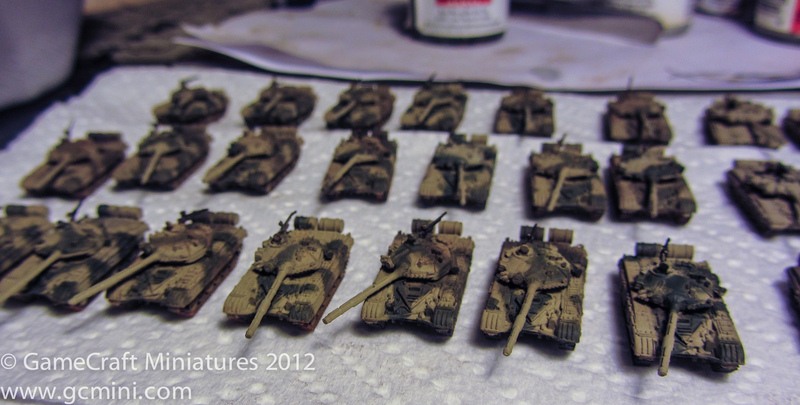 Tomorrow I’ll add the weathering powder to finish them. I think they’ll look fine. 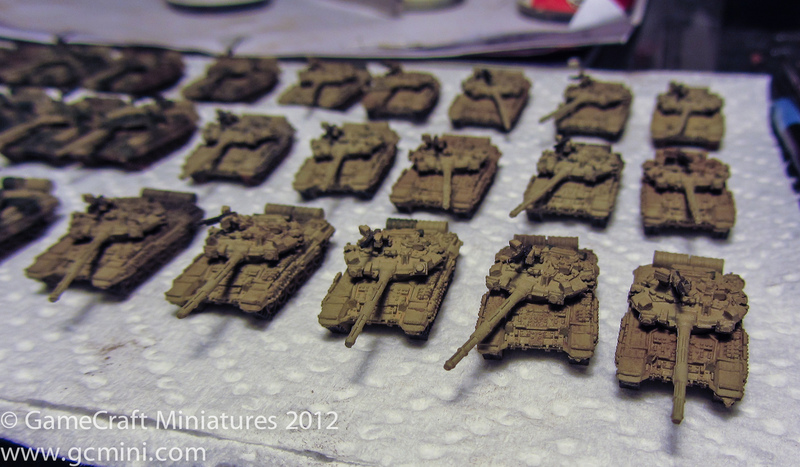 Right now they look very dark ,,, but most Russian tanks do look very dark.